You are here: Virgin Islands News Online » News » VI entertainers to ‘invade’ Anguilla this weekend! 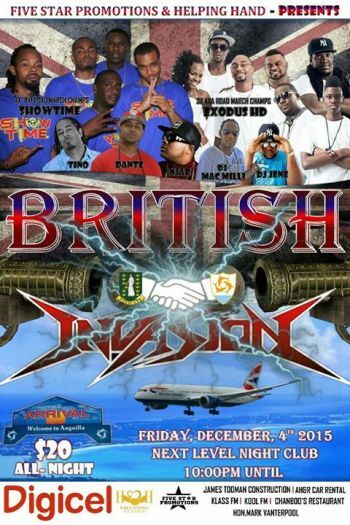 VI entertainers to ‘invade’ Anguilla this weekend! ROAD TOWN, Tortola, VI- Borne out of the desire to work together as British Overseas Territories entertainers, a group of musicians from the Virgin Islands travelled to Anguilla this morning, December 4, 2015 to perform this weekend in the first leg of the initiative. The event, dubbed British Invasion Jam, is the idea of CEO of Five Star Promotion Steve E. Parillon and an entertainment group in Anguilla, Helping Hand. “What we did is we linked up with a promotional company in Anguilla. They came here to the BVI where I met them and we spoke about how we could work together and we agreed to have some entertainers go down to Anguilla. We calling it British Invasion where we carrying BVI entertainers to perform to link up with Anguillan entertainers,” Mr Parillon told Virgin Islands News Online. 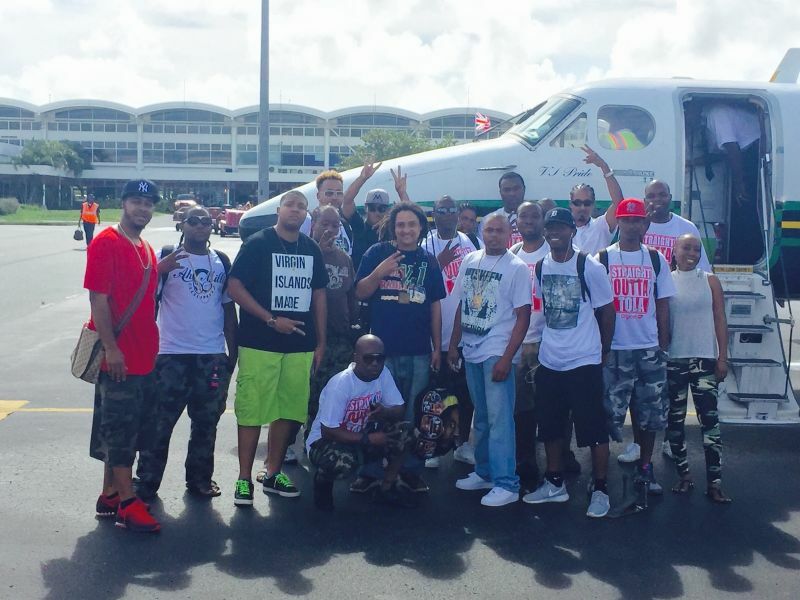 Members of Showtime Band, Amilli Sounds, NJAR, Dante & Tino among others winged out on a charter flight to Anguilla today. The group numbers about 16 entertainers. The entertainers will be in action in The Valley this evening and tomorrow night in the first leg of what is expected to be a long lasting arrangement. Meanwhile, Mr Parillon expressed gratitude with Digicel BVI, which he said willingly came on board to sponsor the team of entertainers to Anguilla. I don't really see the problem with VIBE not being there! I don't like the name "British Invasion" for ideological reasons however the concept of the group is brilliant! Absolutely love this idea. Once these guys go out there and do exceptionally great I believe that this will the beginning is something wonderful! out of everyone on this event all u could have seen was dante? he must be doing something good.. btw i think he was a solo artist on this show..
Like the "Virgin Islands Made" and the "Straight Outta Tola" T-shirts.